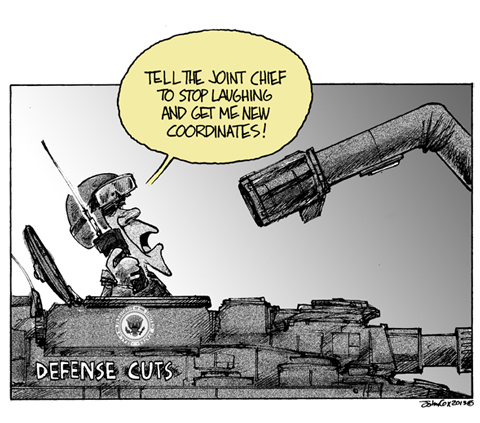 Sequestration or castration... which will it be? JCoS: "Sorry sir, you're out of fuel." PO: "Deliver some immediately and that's an order from the CIC!" JCoS: "Sorry sir, Air Force One used all our fuel, the resupply is sequestered and you're stuck playing around in Florida." Shouldn't Barry be waving a cowboy hat while riding a bomb? Is the "Joint Chief" the leader of the Choom Gang? This page contains a single entry from the blog posted on February 19, 2013 12:27 AM.